How do you leave a long-lasting impression on your client’s experience? As you know, your customer service doesn’t have to end at the closing table. In fact, you have ample opportunities to provide value well after they have moved into their new home. Closing gifts, market updates, and even annual birthday cards are all appreciated, but what else could take your customer service to the next level? 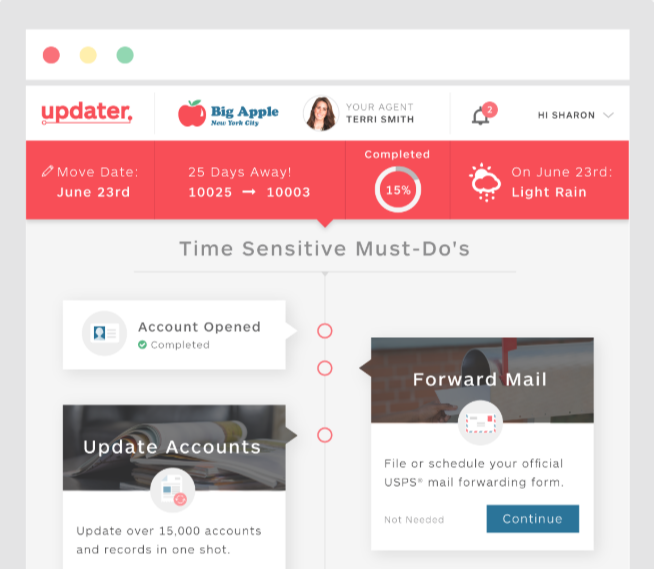 If you aren’t already enrolled, check out Updater.com. It’s a service you can provide your clients as they prepare for their big moving day, and can easily work as a stand-alone gift (possibly replacing your typical closing gift). As happy as your clients are about their new home, moving can be frustrating. The truth is, they likely have mixed emotions about the process and probably wouldn’t mind any help they can get to make the transition go smoothly. While excitement comes with being a new homeowner, the stress of moving details can’t be ignored. 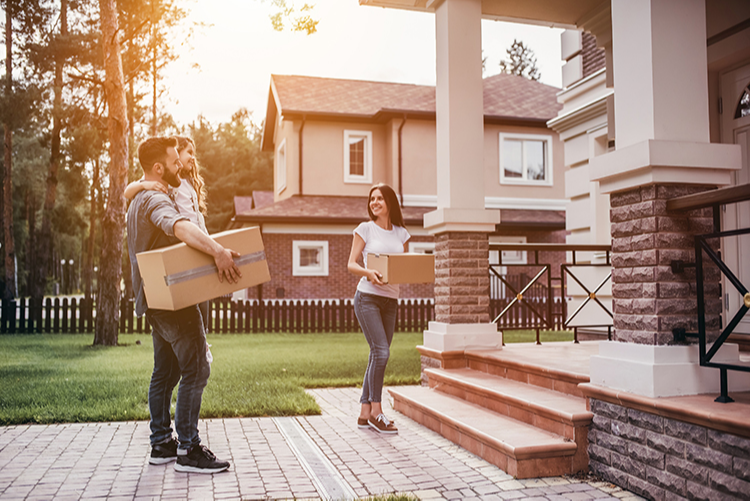 Transferring utilities, changing account information, updating their mailing address, and hiring the movers are particulars that overwhelm almost all homebuyers. It’s a great opportunity for you to come in and extend your help beyond the transaction itself. Updater.com is a partnership service available to you as an individual agent or as a brokerage. They have digital tools that help people find and reserve trustworthy moving companies, connect TV and internet, secure insurance, forward their mail, transfer utilities, and update accounts─ just to name a few of their available services. For your clients worried about packing up and loading the moving truck on their own, the app is perfect for getting connected with a moving company that best fits their needs. Updater has already verified, pre-screened and vetted out trustworthy companies on their behalf helping them get connected easily and with confidence. In order for your clients to use the service, they’ll need a special invitation from you. For more information and to request a Demo with your credentials, visit https://updater.com/get-invited.